3) The Main Street Electrical Parade -- For a combined total of over 22 years, the spectacular Main Street Electrical Parade was the fantastic end to a day at Magic Kingdom. 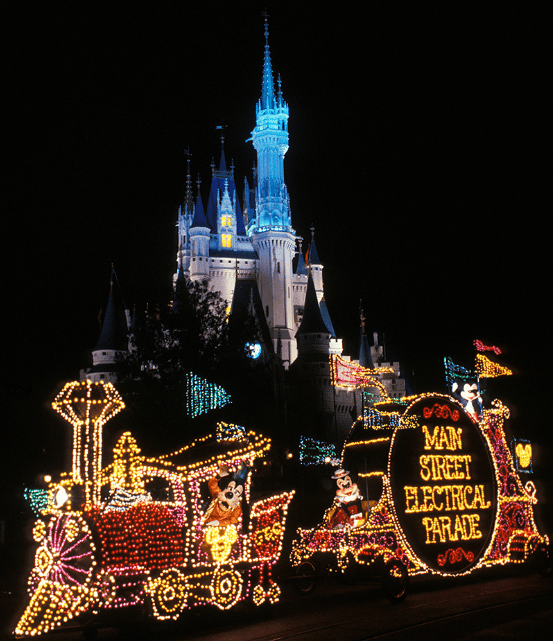 It featured thousands and thousands of lights affixed to multiple parade floats, and the lights were synced to music—specifically to a song called “Baroque Hoedown.” It often serves as the background music to many of the most cherished Magic Kingdom memories of many diehard Disney World fans. The parade originally started in June of 1977 and closed for the final time on October 9, 2016, after which the parade moved to Disneyland. It closed permanently in August of 2017 at Disneyland.